If you have any questions about the AMAZON information page below please contact us. Hailing from the Day Summers & ship building company in the United Kingdom the AMAZON is 37 m 120 (foot) in length. Superyacht AMAZON is able to accommodate up to 6 passengers with 2 qualified crew. The former names or project names are Amazon; Armoricain. She will reach a maximum speed of 10 knots. 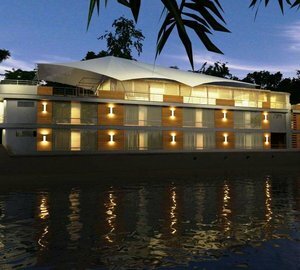 Dixon Kemp was the naval architect involved in the technical vessel design work for AMAZON. Also the company Dixon Kemp successfully worked on this project. Created by Day Summers & this vessel was constructed within the United Kingdom. She was officially launched in Southampton in 1885 before being delivered to the owner. A moderate feeling is manifested with a maximum beam (width) of 4.6 metres or 15.1 ft. With a 2.44m (8ft) draught (maximum depth) she is fairly shallow. The material pine wood/teak/oak frames was used in the building of the hull of the motor yacht. Her superstructure above deck is fashioned out of wood. Over the deck of AMAZON she is 34.75 (114 ft) in length. In 1991 further refit work and modernisation was in addition finished. AMAZON is propelled by a single screw propeller. The engine of the ship gives 120 horse power (or 88 kilowatts). She is fitted with 1 engines. The total output for the boat is accordingly 120 HP or 88 KW. With bedding for a maximum of 6 welcome guests staying on board, the AMAZON accommodates them comfortably. She also utilises approx 2 proficient crew members to manage. Day, Summers & Co. Ltd. The main engines are one 120 Horse Power or 88 Kilowatts Ford. Total engine power output 120 HP /88 KW. AMAZON features a teak deck. 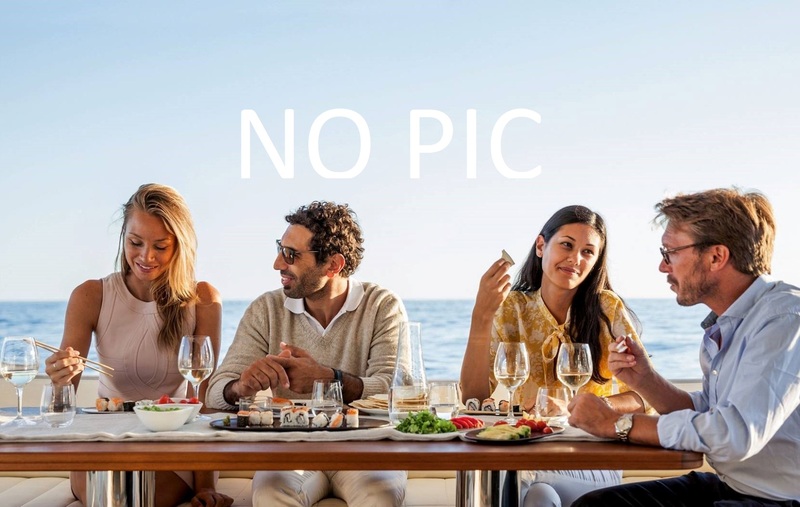 The luxury yacht AMAZON displayed on this page is merely informational and she is not necessarily available for yacht charter or for sale, nor is she represented or marketed in anyway by CharterWorld. This web page and the superyacht information contained herein is not contractual. All yacht specifications and informations are displayed in good faith but CharterWorld does not warrant or assume any legal liability or responsibility for the current accuracy, completeness, validity, or usefulness of any superyacht information and/or images displayed. All boat information is subject to change without prior notice and may not be current.